One of the most entertaining debates in the gaming community over the past six months has been which is the better game and franchise, Battlefield 3 or Call of Duty: Modern Warfare 3. In late October when Battlefield 3 was finally released the smack talk between the two communities had reached a fever pitch, but which one is truly better? While Modern Warfare 3 releases in less than 24 hours (yes, I’m late writing this review), Battlefield 3 has had two full weeks to convince people to switch from Call of Duty to Battlefield. While they both be set in modern conflicts and have somewhat similar campaign styles, overall the games, in my opinion, are very different, especially multiplayer. Anyone that knows my gaming tendencies knows that I am more of a campaign fan vs. multiplayer, so when I actually sat down and played Battlefield 3 multiplayer for about six hours straight – I knew this game was something special. But before I talk about the multiplayer, I’ll quickly cover the single player. One of the things that truly sets Battlefield a part from Call of Duty and other shooters is the level of destructibility. When you’re crouching behind a concrete jersey barrier and the enemy is spraying it with bullets, you can hear the cover being slowly chipped away as you’re covered in dust. When you shoot a car, it will eventually explode, killing nearby enemies. This added sense of realism plays well into the single player campaign, co-op and multiplayer. The campaign follows Staff Sergeant Henry “Black” Blackburn as he attempts to thwart terrorist plots in Paris and New York City. To start the game, you’re tasked with finding another US squad who stated they had a lead on a possible WMD site. All hell breaks lose when your squad finds (in a later level) that terrorists do in fact have WMDs. Blackburn’s team eventually gets a lead on a known arms dealer Kaffarov, who was working with Solomon, the stories main antagonist. While Blackburn’s squad pursues Kaffarov, they encounter a massive Russian force, who are also attempting to apprehend Kaffarov. Meanwhile, a Spetsnaz team led by Dima Mayakovsky, the games other playable character, assaults Kaffarov’s home. After Blackburn is eventually captured and interrogated by the C.I.A. and explains all of his previous operations to them in flashbacks (which is the setting for each of the game’s missions). The C.I.A. ignore the information Blackburn gave them. Left with no other option, Blackburn and surviving squad member Montes break out of captivity to stop the attack in New York. While the pacing isn’t the best, overall I felt that the campaign was fantastic. Utilizing the gunners seat of a fighter jet in the level “Going Hunting” and a tank in “Thunder Run” makes you feel so powerful, you’d be hard pressed not enjoy it. To bridge the campaign and multiplayer, lets talk about the games co-op missions. You and a friend can now play through six co-op missions that involve you each completing a series of objectives. You start off with two missions unlocked, once you complete both of them you unlock two more and so on. Oddly enough, the first two missions were by far the most difficult of the six especially the one that had one person piloting a helicopter while the other player used the guns to cover a group of ground forces take an objective. While the co-op missions weren’t anywhere near as long or fun as I was anticipating, it was just one more thing making the game worth the $60 price tag. Definitely worth a play through or two, if for no other reason but unlocking a few unique weapons after doing a few play through’s. Now, lets dive into the true multiplayer aspect of the game, which is the series’ true bread and butter. 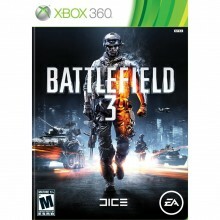 Unlike Call of Duty, Battlefield 3 stresses team work and cooperation between everyone on a squad. There are four different classes: assault, support, engineer and recon. Each class then has a special tool or trait that allows them to help their teammates during combat. For example, the Assault class is able to equip themselves with defibrillators and med kits while the Recon class can put a radio beacon anywhere on the map and all squad members will be able to spawn on the location of the beacon. Multiplayer has Conquest (capture the flag), Rush (one team defends objectives, other team attempts to destroy them), Squad Rush (two four man teams fight over two M-COM stations), Squad Deathmatch (four teams) and, for the first time since Battlefield 1942, Team Deathmatch (two teams). After playing many matches of each one, original Rush is by far my favorite. Because the multiplayer for PC supports 64 players vs. 24 on Xbox 360 and Playstation 3, the maps are huge. Caspian Border is by far my favorite map of any shooter ever; beautiful landscapes, tons of vehicles and plenty of terrain to cover. While the game will obviously not as sell as well as Call of Duty, I think that this is by far the best shooter that’s coming out this year. If you’re a fan of doing nothing but running and gunning chances are you’ll stick to Call of Duty, but if you want to actually play a shooter how, in my opinion, it’s meant to be played, you’d be cheating yourself by not at least trying Battlefield 3. The multiplayer is fantastically addictive and the single player campaign is a lot better than people are making it out to be. The six additional co-op missions, while short, are a great addition to a worthy follow up. Fantastic game, end of story.